This summer, Coca-Cola is encouraging Foursquare users to enjoy local events with a variety of innovative social media promotions. Their first initiative was built around the live streaming of a Paul McCartney concert in Mexico City and their latest is based on discovering local, state, and national parks. Adweek.com reported on the beverage giant’s summertime social media strategies. “There’s definitely an emerging trend towards combining digital with outdoor live events, whether it’s music or sports,” said John Bara, chief marketing officer of ThisMoment, the social marketing software company that contributed to the online effort involved in the Paul McCartney concert for Coca-Cola’s Latin America division. For that promotion, the beverage producer sponsored a live streaming of the highly anticipated concert event. It was promoted through numerous social media channels and drew approximately 500,000 viewers who tuned in for an average of over 40 minutes. Coke’s current promotion is a contest collaboration with geosocial app, Foursquare, designed to rally support for our community parks. Through July 15, Foursquare users are encouraged to “check-in” at area parks. These check-ins are counted as votes, with the winning public park receiving a $100,000 grant from the beverage brand. The second-place park will get $50,000 and the third-place winner will be given $25,000. As an additional incentive, each check-in counts as 100 votes for that particular park. People can also vote online, but each of these only counts as a single vote. 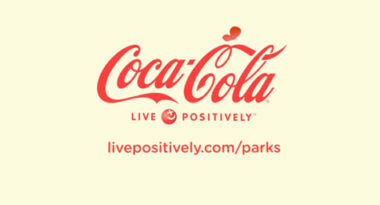 Coke’s Facebook fans can also participate by visiting a special campaign page on the Foursquare app that includes information about various parks, as well as social media sharing options. With these exciting social media promotions, Coca-Cola is making summer hotter than ever. To learn more about incorporating Foursquare into your social media marketing strategy, contact MDG Advertising today at 561-338-7797 or visit mdgadvertising.com. MDG Advertising, a full-service Florida advertising firm with offices in Boca Raton and New York, NY, specializes in developing targeted Internet marketing solutions, exceptional creative executions and solid branding and media buying strategies that give clients a competitive advantage. Our core capabilities include branding, logo design, creative, digital marketing, print advertising, media planning and buying, TV and radio, public relations, Web design and development, email marketing, social media marketing and SEO.